The Air Force says more homes and businesses would be affected by noise if F-35 fighter jets are based at the Vermont Air Guard base at the Burlington airport. Vermont is one of two preferred sites being considered for the new jets. In a long overdue draft environmental impact statement released this week, the Air Force says the F-35s would increase the size of the area affected by noise levels averaging 65 decibels or greater. The Federal Aviation Administration considers noise above the 65 decibels average to be significant. Opponents have long contended that the F-35s would be louder. Juliet Buck lives one mile from the airport. She’s a member of a group opposing the F-35 plan, which she blogs about. "Before we can casually say, as the report does, that there will be no substantial degradation to the community, we have to consider those aspects which are not addressed by the study," Buck says. "There’s no mention of property values, which we know are impacted negatively by noise. There’s no mention of the effect on tourism and local business. There’s no mention of the effect on further depleting the effect on affordable housing." Buck hopes opposition to the F-35s will grow now that more people will be affected by jets. She says people should also consider the troubled history of the F-35 program, which has been plagued by cost overruns and delays. 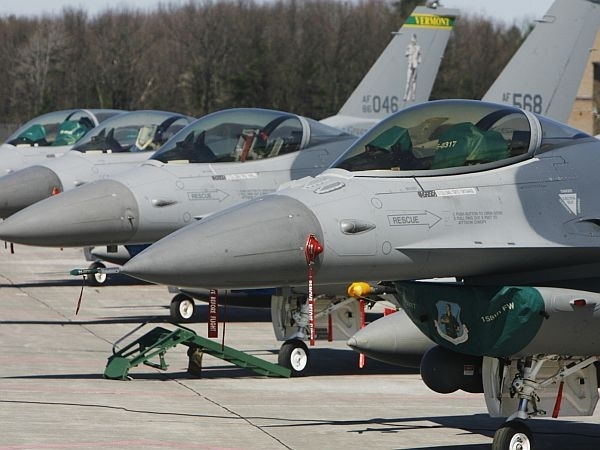 Vermont Adjutant General Michael Dubie says the Air Force draft environmental statement indicates the new F-35 will be, "a little bit louder" than the F-16s. Dubie says the noise levels are based on computer modeling and that the guard has always worked to cut down on noise by altering how planes are flown. Dubie says the choice of Vermont as a site for the F-35 means a great deal to the guard, adding, "Worldwide, for the U.S. Air Force to designate Vermont as the bed-down site for the new airplane, we see it as a real testament and validation of how good we are as a unit and how good the state is in serving the country." The guard currently flies two sorties per day and it doesn’t anticipate any change with the F-35. The Air Force Draft environmental impact statement was required by federal law. It also indicates that the F-35 would be less polluting than the older F-16s. There will be a public hearing on the draft May 14th at South Burlington High School. A week after he was elected by the Legislature, Brigadier General Steven Cray has officially been sworn in as the next leader of the Vermont National Guard. Newscast: Thursday, October 25, 2012, 5:50 p.m.